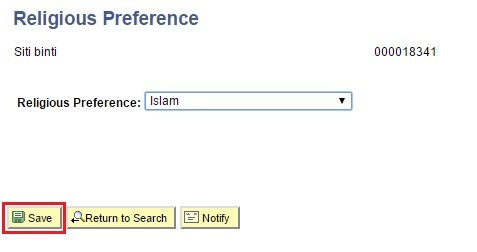 This function allows the users to maintain student personal data by searching and updating the student religious preference information. User will be directed to Religious Preference page. 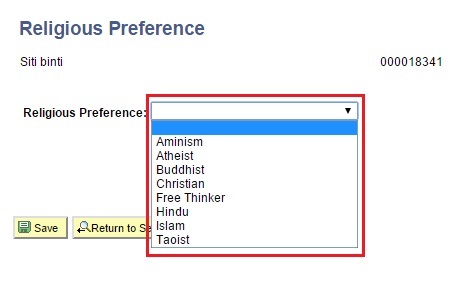 Click on the drop down list and select the Religious Preference. Click on Save button to save the edited religious preference.